What Trump has gotten, at least so far, is far flimsier than the Iran nuclear deal he tore up. • Sat down with a dictator whose regime had killed hundreds of thousands of people and who tortures and enslaves as many as 130,000 political prisoners in gulags. • Set no specific preconditions for the meeting and secured no commitment on human rights nor any firm promise to denuclearize. • Blindsided allies by agreeing to the dictator’s request to cease “provocative” military exercises with those allies. The website NowThisNews made a video compilation of Fox News commentators’ thoughts on Obama meeting with repressive regimes. Among them: “Obama likes talking to dictators” (Mike Huckabee), “he would meet with some of these madmen without any preconditions” (Palin), Obama is “going to reach out to these crazy people around the world” (Steve Doocy). As Trump and Kim shook hands for the first time Tuesday night, Hannity proclaimed it “officially” historic, compared Trump to Ronald Reagan, called Secretary of State Mike Pompeo a “rock star” and hosted Trump loyalists proclaiming “peace and progress” and “peace and prosperity.” He dismissed “artificial unrealistic expectations” of Trump’s opponents — that is, the complete denuclearization Trump himself demanded. Still, Republican lawmakers filled Twitter with applause emoji for Trump after he did the very thing they denounced Obama for even suggesting. Senate Majority Leader Mitch McConnell (Ky.), like many colleagues, called the meeting a “major step” toward peace. 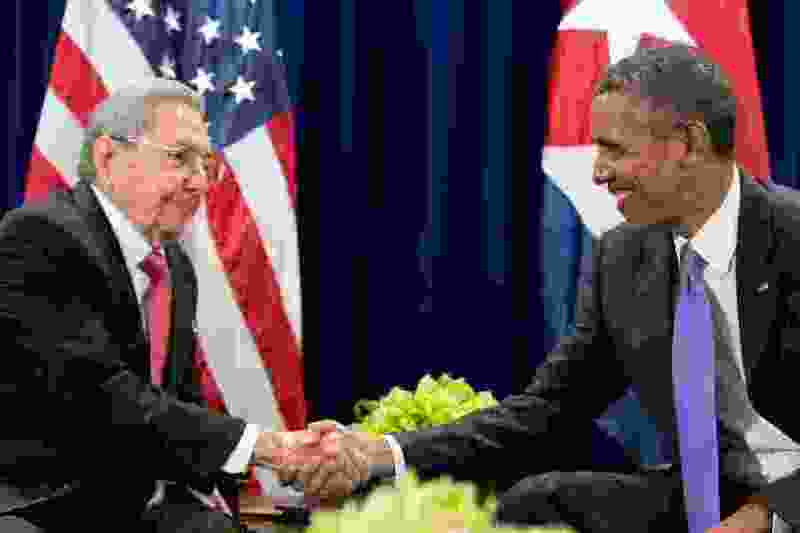 Democrats, were they inclined to be demagogic, could have attacked Trump for sitting down with a murderous dictator. Most didn’t. Though critical of Trump’s deference to Kim and the meeting’s lack of substance, they generally didn’t criticize the idea of meeting.